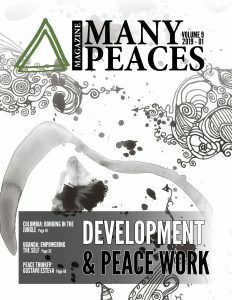 Get your subscription now! 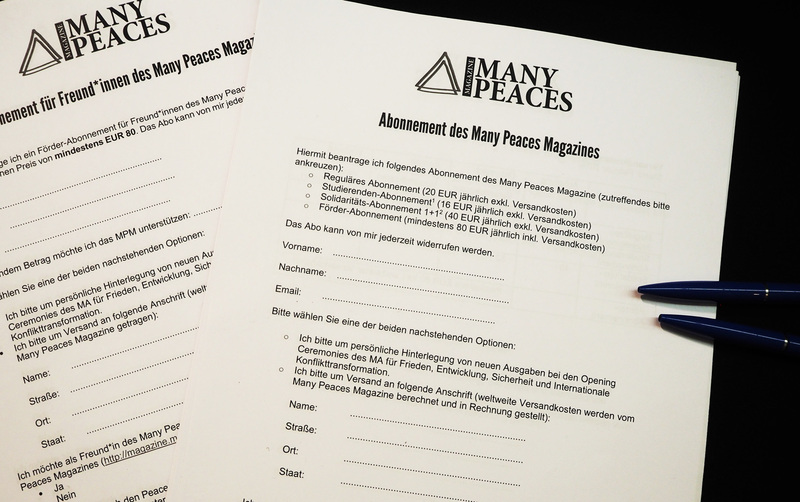 Download the form, print it, scan it and mail it to magazine@manypeaces.org or to Many Peaces Magazine, Grillhofweg 100, 6080 Vill-Igls, Austria. In case of a student subscription, please attach your certificate of enrollment. For more information about our subscription models, please contact us!